This book was designed with the aspiring bebop player in mind. Bebop is the foundation of ALL modern jazz music and we, as musicians, need to be able to find our way around a set of chord changes using very specific language. We can learn this material from transcriptions, but there is a lot of hunting involved to find specific devices that will be beneficial to us. 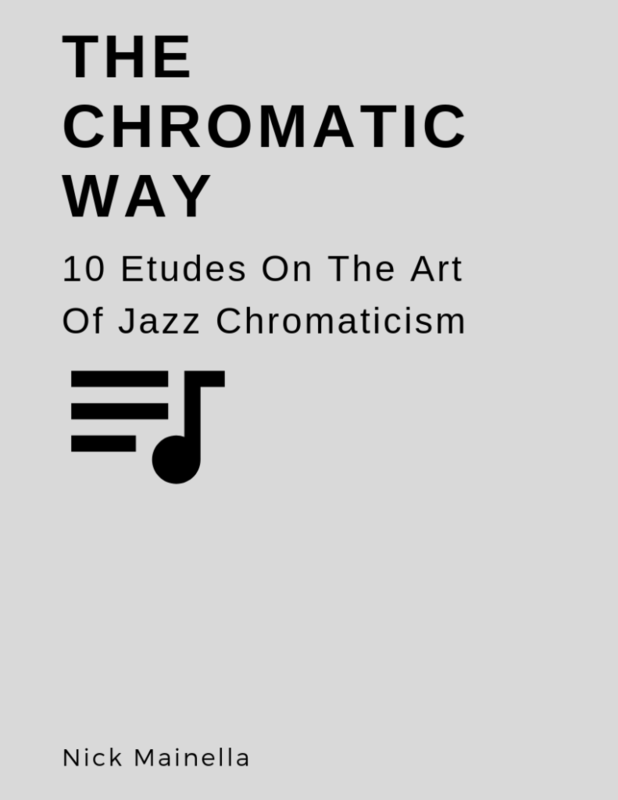 That is where the etudes in The Chromatic Way come in. We have composed 10 etudes based over some of the most popular standard chord changes PACKED with chromatic bebop lines for you to study and perform. This package also includes 4 High Quality Play Alongs with every etude! These accompaniment tracks will be included at 90, 120, 160, and 200bpm to give you maximum flexibility when practicing and always allowing you to hear the harmony the lines are based on no matter how fast you’re ready to play the etudes. Working your way up to 200bpm is a great way to set a goal and not stop until your a bebop machine! This book will also help you tremendously with your technique. There’s no way around it, some of these etudes are HARD! But we all know that there is no growth without a challenge. Anyone can play these etudes and with enough work you’ll be crushing these lines with ease. Another huge benefit to this book is the ear training it comes with. You can’t play what you don’t hear and these etudes will be a great way to start aurally understanding the elements of bebop along with physically understanding them on your instrument. An Ebook with 10 etudes and instructions on how to use them for concert, Bb, or Eb instruments. High Quality Backing Tracks for all ten etudes at 90, 120, 160, and 200bpm for maximum flexibility. Demonstration recordings of each etude played by Nick Mainella for reference or to actually learn the tunes by ear if that’s your style! So what are you waiting for?? Download The Chromatic Way today and start becoming the bebop master you always knew you could be!